Hong-Eng Koh, senior director and global lead of justice and public safety within Oracle’s division focusing on the public sector, started as a police officer and even served as IT head of the police force in Singapore for a short while. Digging into his experience with police work and understanding of trends on a global scale, he makes the case for social-enabled policing (SEP) in this interview with ComputerWorld NZ. Q: Can you give a sketch of the global justice and public safety team and solutions within Oracle? Hong-Eng Koh: Before Oracle I was at Sun Microsystems where I was doing a similar role covering justice and public safety. I ended up in the job due to my police background. In Oracle, over the last seven years, we have been aggressively developing new products and at the same time acquiring new capabilities, and because of that we have got a whole stack of different technologies. In Oracle there are about 1000 subject matter experts. And of that around 100 of us reports to the senior VP handling the public sector. Under that you go into very fine segmentations and niches. Public sector is not one industry. It is very complicated so we go into different specialist areas. And in each of these areas we have a team of people. Most of them are like myself, coming out from the industry and have been former CIOs of the agency they handled. My focus is on justice and public safety, and the team with me is around 8 people. Many people don’t realise that Oracle has a bunch of people like us. Our role is to meet the customers within Oracle. We are the ones who are supposed to do a lot of research, and our background definitely helps to understand the trends affecting our segment, the challenges and best practices. With that knowledge we design different solutions with Oracle products. We do have six different solutions within the justice and public safety team. The first focus areas for the solutions is policing. That is end-to-end policing. Typically, you might have 20 different vertical systems within any police department. So it is difficult to execute end-to-end policing. Don’t believe what you see in CSI. It shows the same person going to the crime scene, and then interrogating and then doing research. Typically you have different specialist branches and because of that police departments tend to use technology based on how they are organised. We have a policing solution that provides them a common platform. The second solution area is judiciary. Once you have enough evidence, you go to the attorney general or prosecutor, you decide whether to charge a person in court. Then you do the filing of the case, the clerk will do a court scheduling, the case management, and then you have the defence counsel’s side of things. For this we have a complete platform. The third solution is an end-to-end prison solution. We have a complete platform to handle everything from the moment someone is committed to a prison. Those three solution sets are related. The fourth area is immigration and border control. The fifth area is for mega-events. We have been doing very well in Brazil with the solution, because the Olympics are coming up, and also of the FIFA World Cup this year. We have been doing very well with some of the customers there, and the Rio de Janeiro police is a major customer. The sixth area, which is very important in supporting the other five is the intelligence hub and alerts. The intelligence hub takes in all data, structured and unstructured. It can be traditional financial, criminal and travel records, or it could be social media feeds and video surveillance. We can put them together and do different layers of filtering to help look for and detect evidence, whether to prevent crime or solve it. 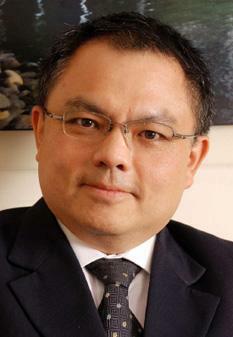 Hong-Eng Koh, senior director and global lead of justice and public safety within Oracle’s division focusing on the public sector. Q: What are the global trends you are seeing in policing and technology? HEK: Public sector is fragmented. Within that, justice and public safety is the most fragmented of the sub-segments. You are talking about licensing, compliance and fire safety regulations, talking about law enforcement and policing, talking about judiciary and emergency management. The last two years the major threat and opportunity that we have seen emerge is social media. As a threat, you have to look at the herding effect. You have things like rumour mongering, which can spread like wildfire. Especially ones related to religion, which is a very sensitive subject. And that effect can sometimes lead to flash mobs. Different cities and countries might have different laws, but there will be cases where flash mobs or the gathering of a massive number of people is an offence by itself. Even when that is not the case, chances are that flash mobs may lead to physical incidences, because of group psychology. Individuals can be very timid, very mild, but the moment you put a group together they can do a lot of harm. Flash mobs can lead to looting as well. It is very common. This is where the police is very concerned.